Talk about timeless. 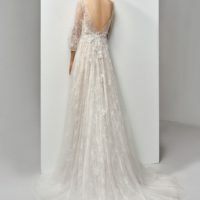 This full-length, A-line gown is classically gorgeous at every turn, with long lace and tulle bell sleeves for the perfect bohemian fairytale look. 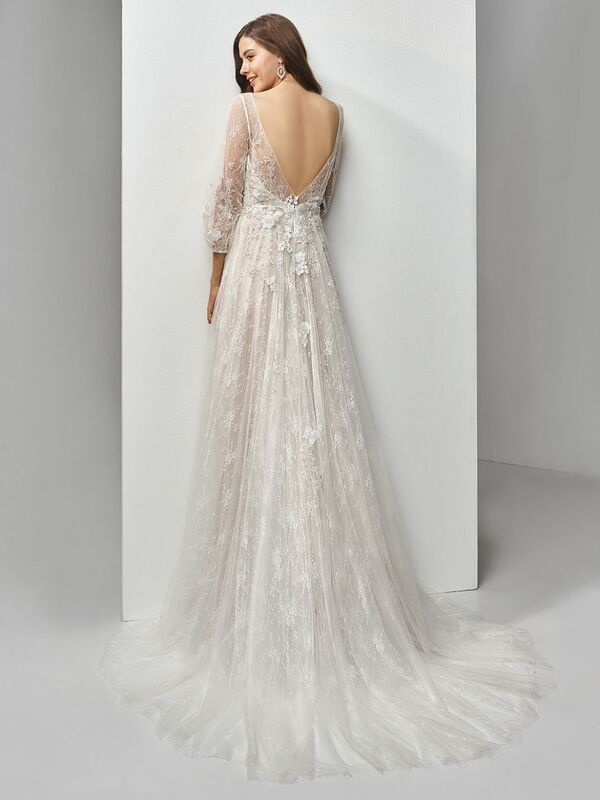 An illusion scoop over deep sweetheart neckline adds some modern sexiness, while embroidered lace and chantilly lace sprinkling down to the soft tulle skirt provides all the intricate detailing that will have your guests ooh-ing and aah-ing. The gorgeous low, open V-back is finished with covered buttons and an invisible zipper closure.